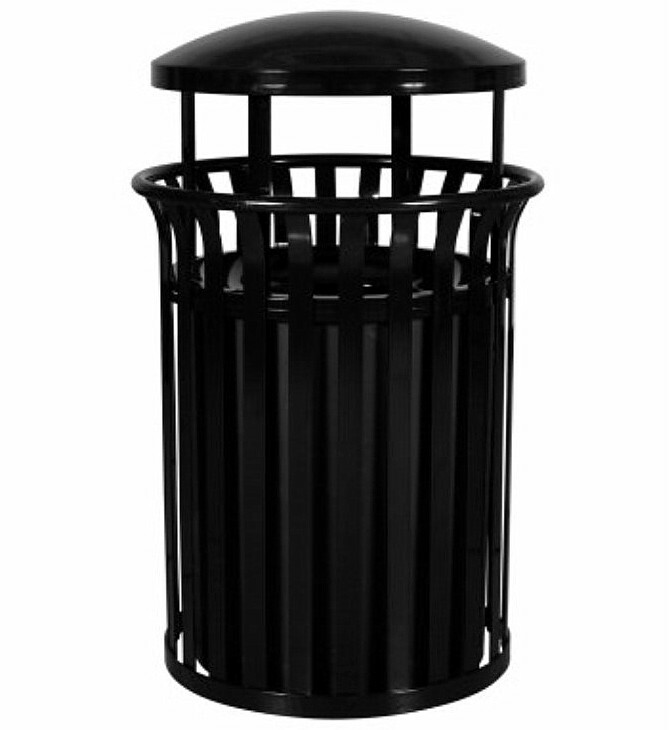 The Streetscape waste receptacle is a 26” Diameter, 33” H (without lid) large freestanding steel trash receptacle with an optional lid, liner and center message band. 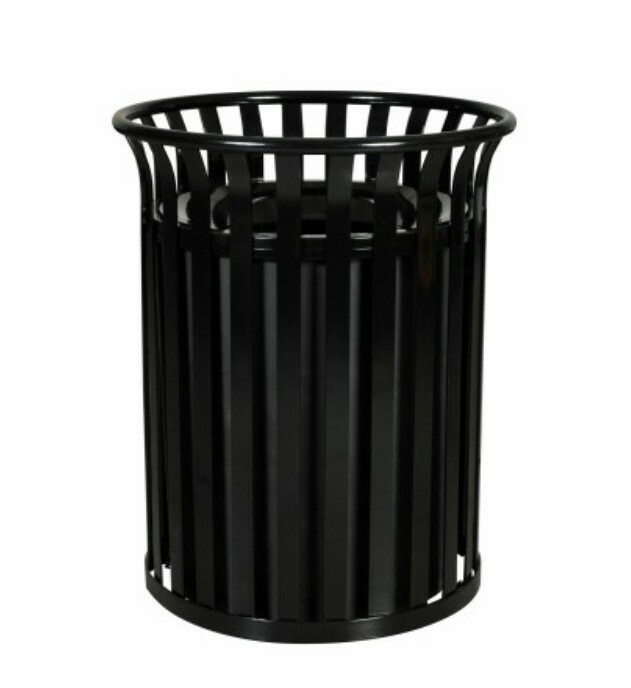 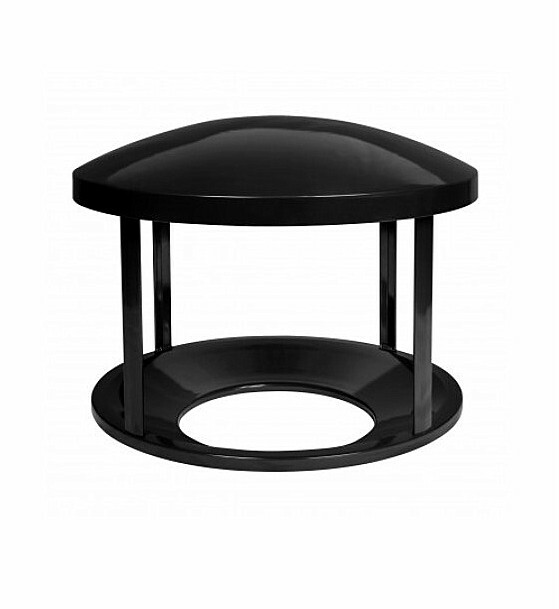 Includes bottom drainage holes and weather resistant powder coat finish. 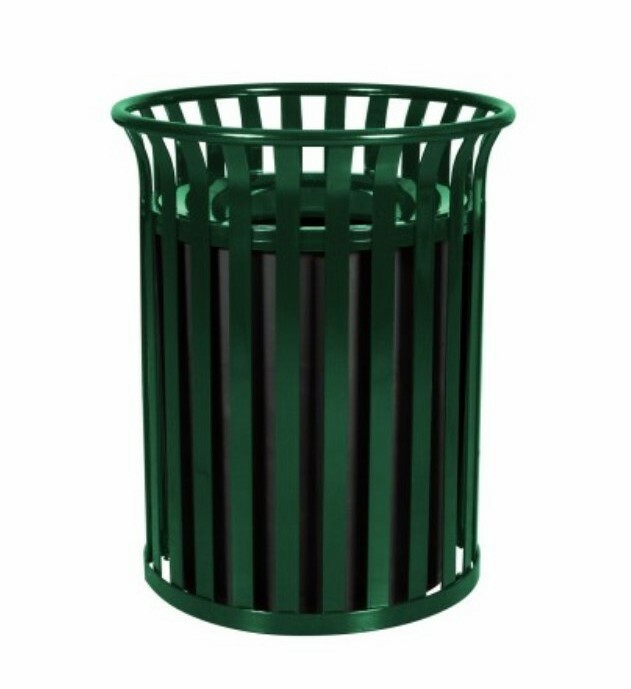 Available in standard black, coffee, or hunter green.